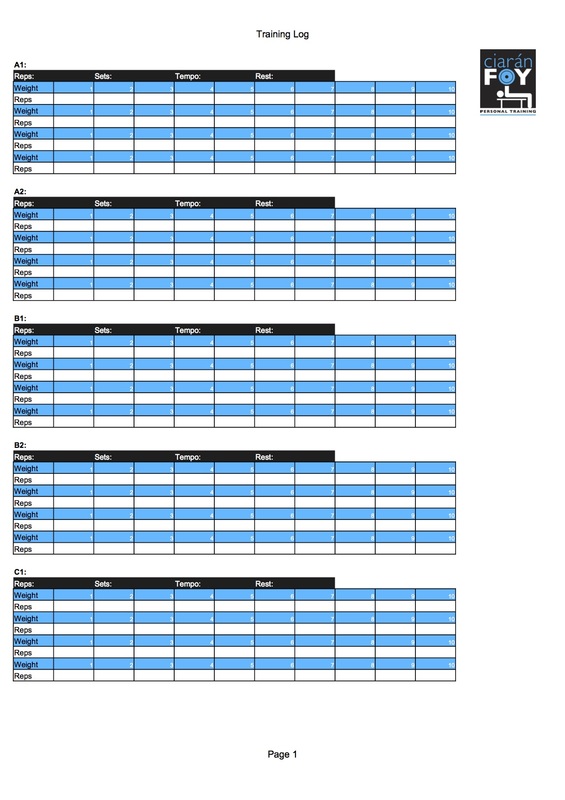 Increase the effectiveness of your programme by tracking each of your workouts. One of the best things you can do to help increase productivity in the gym, is to use a training log. The most common mistake people make in the gym is following the exact same routine every single time they workout - the same exercises, the same weights, the same reps and the same sets. This is a fast track to stagnation. A training log allows you to track how much weight you lift, how many reps and sets you complete of a specific lift/exercise, and encourages you to out perform yourself the next time you hit the gym. If you want results, then you need to log your workouts. Aim to lift heavier than your last workout. Even if you lift a heavier weight for just one set, you encourage your body to respond. You get stronger, you get fitter and you promote muscle growth which will help you to drop bodyfat. Look to increase intensity, workout by workout, and enjoy the gains!